Pantene Pro-V Daily Moisture Renewal Shampoo puts in more than it takes out with every wash. With a potent blend of Pro-V nutrients, Daily Moisture Renewal Shampoo gently cleanses your hair with a nutrient-rich lather that wraps every strand with strength. The Pro-V formula delivers 2X moisture,* so you're left with intensely hydrated, strong and beautiful hair. <br /> <br />Renew your hair with Pantene Pro-V Daily Moisture Renewal Conditioner. Featuring a potent blend of Pro-V nutrients, this luxurious cream helps to visibly replenish dry, lifeless hair from root to tip. Micro-moisturizers work to wrap every strand with lasting hydration, leaving your hair with 2X more moisture. * The result? Beautifully soft, manageable strands. <br /> <br />*when used as a system with Daily Moisture Renewal Conditioner based on moisturized feel vs. non-conditioning shampoo. Pantene Pro-V Daily Moisture Renewal Shampoo puts in more than it takes out with every wash. With a potent blend of Pro-V nutrients, Daily Moisture Renewal Shampoo gently cleanses your hair with a nutrient-rich lather that wraps every strand with strength. The Pro-V formula delivers 2X moisture,* so you're left with intensely hydrated, strong and beautiful hair. Renew your hair with Pantene Pro-V Daily Moisture Renewal Conditioner. Featuring a potent blend of Pro-V nutrients, this luxurious cream helps to visibly replenish dry, lifeless hair from root to tip. Micro-moisturizers work to wrap every strand with lasting hydration, leaving your hair with 2X more moisture. * The result? Beautifully soft, manageable strands. *when used as a system with Daily Moisture Renewal Conditioner based on moisturized feel vs. non-conditioning shampoo. Ingredients: Shampoo: Water, Sodium Laureth Sulfate, Sodium Citrate, Cocamidopropyl Betaine, Sodium Xylenesulfonate, Stearyl Alcohol, Sodium Lauryl Sulfate, Sodium Chloride, Cetyl Alcohol, Fragrance, Citric Acid, Sodium Benzoate, Polyquaternium-6, Guar Hydroxypropyltrimonium Chloride, Tetrasodium EDTA, Trisodium Ethylenediamine Disuccinate, Trihydroxystearin, Mica, Titanium Dioxide, Panthenol, Panthenyl Ethyl Ether, Silica, Iron Oxides, Methylchloroisothiazolinone, Methylisothiazolinone., Conditioner: Water, Stearyl Alcohol, Behentrimonium Methosulfate, Bis-Aminopropyl Dimethicone, Cetyl Alcohol, Fragrance, Benzyl Alcohol, Dicetyldimonium Chloride, Disodium EDTA, Histidine, Panthenol, Panthenyl Ethyl Ether, Citric Acid, Methylchloroisothiazolinone, Yellow 5, Methylisothiazolinone, Red 33. Instructions: Shampoo: Massage into wet hair. Lather. Rinse. Repeat. Gentle enough for permed or color-treated hair. For best results, use with Pantene conditioner. 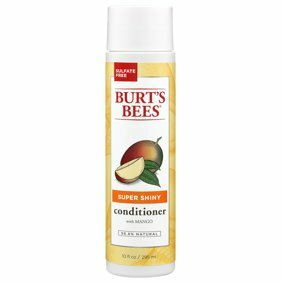 Conditioner: Massage into wet hair after shampooing, paying special attention to ends. Rinse thoroughly. Gentle enough for use on permed or color-treated hair. I love the smell of the shampoo and the smooth of conditioner. 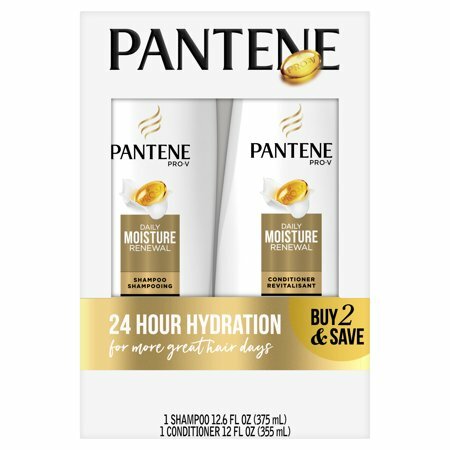 This double pack with shampoo and conditioner is a great deal. Couldn't pass it up! This is my absolute favorite shampoo and conditioner brand. I'm not willing to pay astronomical amounts for "professional" products. This stuff makes my hair feel amazing. Best stuff I've found that I can buy at a reasonable price.